Camp for €16,- a night at Campsite Le Colombier in low season with CampingCard ACSI. 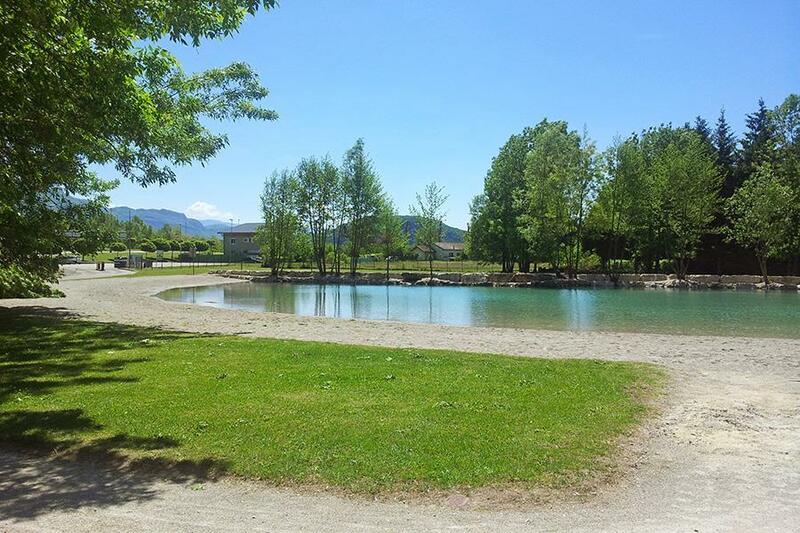 Campsite Le Colombier, located in Culoz (Ain), is a campsite with 55 touring pitches and 12 year round pitches. With your CampingCard ACSI you can camp on one of the pitches during the following periods: 13-04-2019 - 29-06-2019 and 25-08-2019 - 23-09-2019. At this campsite you can not only use your CampingCard ACSI for inexpensive camping, you can also use your ACSI Club ID (as an alternative ID). Campsite located between the Rhône and the Grand Colombier. Within walking distance of a large department store and centre. At the entrance is a lake where you can swim. The elongated grounds offer sufficient shade. Various sports facilities available in the vicinity. A40 dir. Genève. Exit 11: Éloise. RN508 as far as Frangy. In Frangy dir. Seyssel. Via D992 dir. Culoz. Campsite is located on the right of the road by the roundabout in Culoz.